for a nearly all-inclusive way to #ExploreTheIsland. Insurance is included in our van rental rates & compared to the nightly price of RV rentals + gas savings... you're not only saving $$$, you'll look cooler too! I had a beautiful time with my lovely VW Campervan Rental. It's like driving in a world of happpiness. Everything was so nice, easy and uncomplicated... "just go" - I would do this again & again, had a great trip on Vancouver Island. Hope to see you again soon. Can't say enough about this great experience! Waterfront camping. Sunset wine & sunrise coffee, the ocean 20 feet away. And let's not forget the super cool VW that made it all possible - Awesome! If you are looking for a unique adventure, you just can't beat this! What are people saying about their justgo experience? Everything you need is already in your rental van to drive, experience, relax, cook, eat & sleep. The gas tank is full - all you have to do is grab your fave food, drinks and “just...go”. This experience was better than we could have imagined. They went above and beyond to ensure that we had a fantastic vacation on gorgeous Vancouver Island. The camper van's bed was comfy, warm and great quality. The campervan rental left us wanting for nothing. We will be back to rent from justgo vans again. 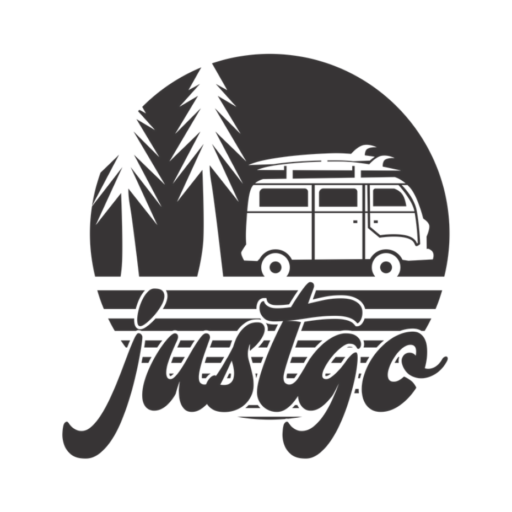 If you're thinking about renting campervans here, my advice is to "justgo" for it. You won't be disappointed! Thanks again. You're the best! 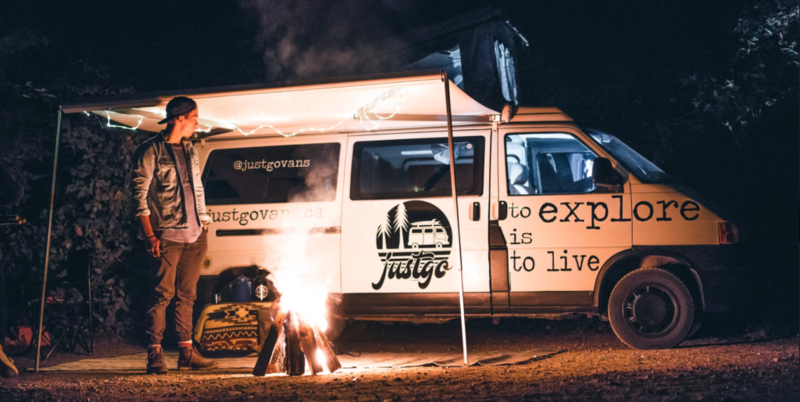 WE LOVE JUST GO VANS! It's hard to find time away from our busy lives and when we do, it's obvious to want that time to be special - affordable, fun, unique and whimsical.  Well, we tried out justgo van rentals in Nanaimo, on Vancouver Island and got all of that and more. The Westfalia campervan is super comfy to sleep in, very easy to cook in... they've got a CD collection that's building. When driving it, expect a chill journey - you're on vacation, afterall!